On Wednesday evening, December 17, Professor the Hon. 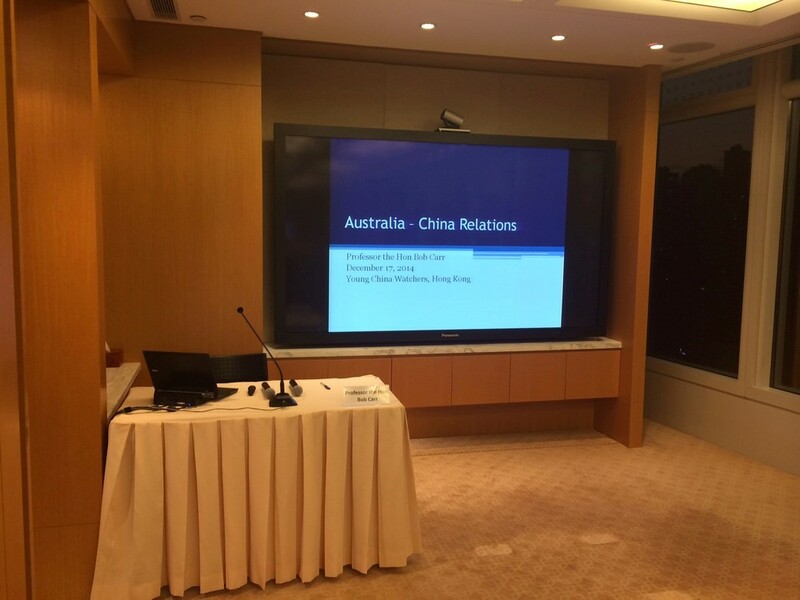 Bob Carr spoke about the latest developments in Australia-China relations at Sidley Austin’s boardroom in Central Hong Kong. 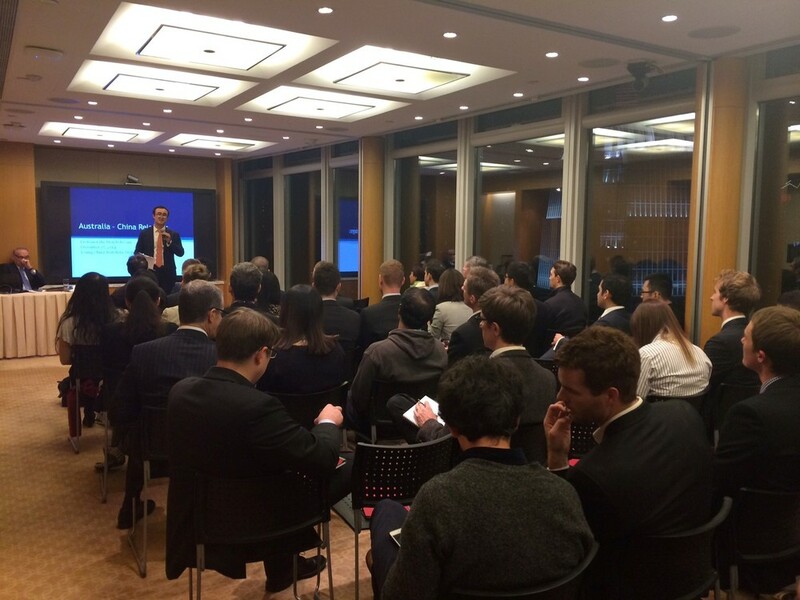 An ACYD alumni event in conjunction with the Young China Watchers – a supporter organisation of the ACYD – Prof. Carr’s presentation and Q&A session attracted over 60 young professionals from a range of backgrounds. Sixteen Alumni and friends of the ACYD then hosted Prof. Carr to an intimate roundtable dinner at the exclusive China Club after the presentation. Older PostIs China’s Periphery Becoming the Core of Its International Relations?